Vice President and Founding Partner in McClarran and Williams, Inc.
Rebecca "Becky" McClarran Mizak is a graduate of Seton Hill College, Greensburg, Pennsylvania. She is Vice President and Founding Partner of the firm, McClarran and Williams, Inc. In this capacity she directs public relations program development, publicity activities and research needs of the firm’s clients. With a background in retail management, McClarran served as Director of the Retail?Management A.A. curriculum at Allegany Community College (now Allegany College of Maryland) prior to founding McClarran and Williams in 1985. Becky is integral in maintaining her firm's role as a regional specialist in the negotiation of sponsorships and tie-ins to the mutual benefit of the sponsors and the organizations they support. In recent years, she become one of western Maryland's first advocates of on-line social media marketing and is the founding administrator of the "Visit Cumberland Facebook" page. 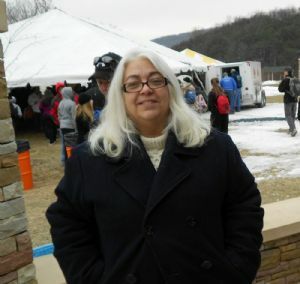 Ms. McClarran has specific expertise in coordinating the activities of non-profit organizations and private-public ventures and served for eleven years as the coordinator of the Rocky Gap Music Festival, acting as the clearinghouse for the communications and organizational activities of some 400 volunteers supporting an annual event budget of $1 million. Her civic service and business contributions include leadership in the Downtown Cumberland business community and the Downtown Cumberland Business Association, coordination of the "Annual Hooley Plunge" charity event which raises funds for programs benefiting developmentally disabled youth and adults, and serving as president of the Allegany County Animal Shelter Management Foundation. For many years she has also served as Program Chairperson for the Rotary Club of Cumberland and has been recognized as a Paul Harris Fellow which is the Rotary Club's highest recognition. Rebecca McClarran Mizak is well known for knowledge of antiques and estate jewelry and is one of the founding vendors in the Cumberland Emporium antique cooperative on the Downtown Cumberland Mall.